Lupus is a chronic autoimmune disease that can affect any part of the body, with symptoms lasting anywhere from a few weeks to many years. Put simply, the body’s autoimmune system can’t tell the difference between bacteria, viruses, and other infectious agents, and the body’s own healthy tissues. It also varies in severity; for some patients, it is a life-threatening condition, while for others, the symptoms are only mild. With the right medication, patients with lupus can live a full, rewarding life. There are also many misconceptions about lupus. It is not like cancer or HIV/AIDS. It is not contagious. It’s estimated that 1.5 million people in America are living with lupus. (Though this number may actually be higher since there has never been a large-scale study on lupus.) More than 16,000 new cases are diagnosed every year, and it is believed that five million people around the world are affected by some form of Lupus. The disease commonly affects women during their childbearing years, between 15 and 44 years old. African-American women are also two to three times more likely to develop lupus. However, lupus is a disease that knows no race or ethnic boundaries; while some groups are more susceptible, anyone can develop the disease. While there is medication that patients afflicted with lupus can take, there are also a variety of alternative health remedies that can help to alleviate the symptoms. It is recommended that you discuss alternative medicine with your doctor before starting a new regimen; they can tell you about any possible side effects that may occur along with the benefits. Dehydroepiandrosterone (DHEA): It has been found that supplements containing this hormone can be useful in stabilizing steroid levels in patients with lupus. Flaxseed Oil: Since flaxseed contains a fatty acid called alpha-linolenic acid, it is beneficial in reducing inflammation. It has also been found to help patients with lupus that affects their kidneys by improving kidney function. However, using flaxseed oil supplements may cause abdominal pain and bloating. Fish Oil: Though studies surrounding the benefits of fish oil supplements in treating lupus are in their early stages, there is evidence that the omega-3 fatty acids found in fish oil supplements can be beneficial for patients with lupus. However, fish oil may have side effects, such as nausea, belching, and a fishy aftertaste in the mouth. Vitamin D: There is evidence that low levels of vitamin D in patients afflicted with lupus may cause symptoms to worsen. 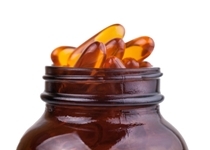 Taking supplements is a good way to restore levels of vitamin D and alleviate symptoms. Combining alternative therapies with prescribed medication can help to relieve the symptoms of lupus. With the proper medication and lifestyle changes, lupus doesn’t have to rule your life. If you’ve been diagnosed with lupus, be sure to check out what is available to you and have a thorough conversation with your doctor before beginning a new alternative treatment. “Understanding Lupus: What is Lupus?” Lupus Foundation of America web site; http://www.lupus.org/answers/entry/what-is-lupus, last accessed October 9, 2014. “Disease and Conditions – Lupus; Alternative Medicine,” Mayo Clinic web site, October 26, 2011; http://www.mayoclinic.org/diseases-conditions/lupus/basics/alternative-medicine/con-20019676, last accessed October 9, 2014. Walsh, N., “Low Vitamin D Linked With Worse Lupus,” Medpage Today web site, January 30, 2014; http://www.medpagetoday.com/Rheumatology/Lupus/44051.